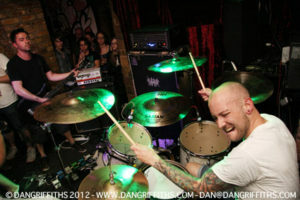 Here are some images of Mongol Hordes first ever show at the Wheelbarrow in Camden, London. This was a secret show and announced on the bands Twitter and Faebook pages a few hours before doors. 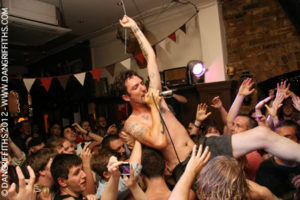 The band features Frank Turner (vocals), Matt Nasir (guitar) of The Sleeping Souls and Ben Dawson (drums) of Pailhorse and formerly of Million Dead. Please click on the images to launch a flash slideshow featuring more images from the show. The band play Reading and Leeds festival this weekend.